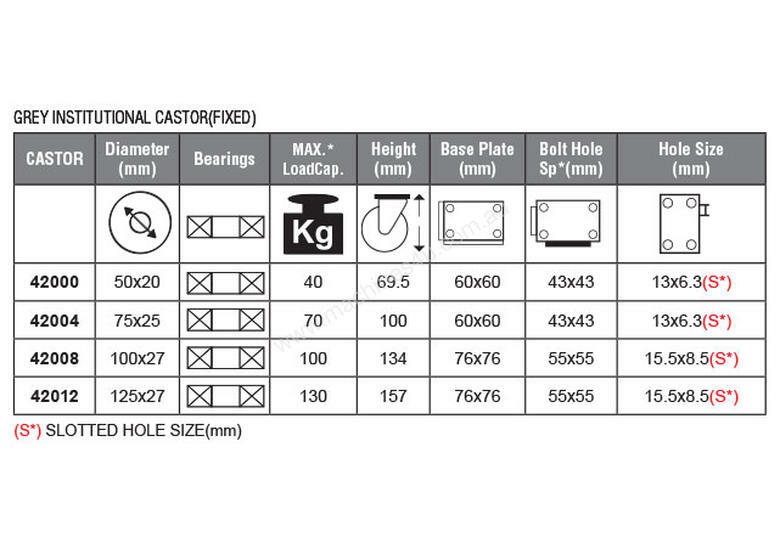 Grip industrial grey series castor wheels feature precision ball and roller bearing technology coupled with quality pressed steel chrome and nickel plated componentry. There are 3 subcategories in this range namely: GREY STEEL CORE, GREY INSTITUTIONAL & GREY TPR. 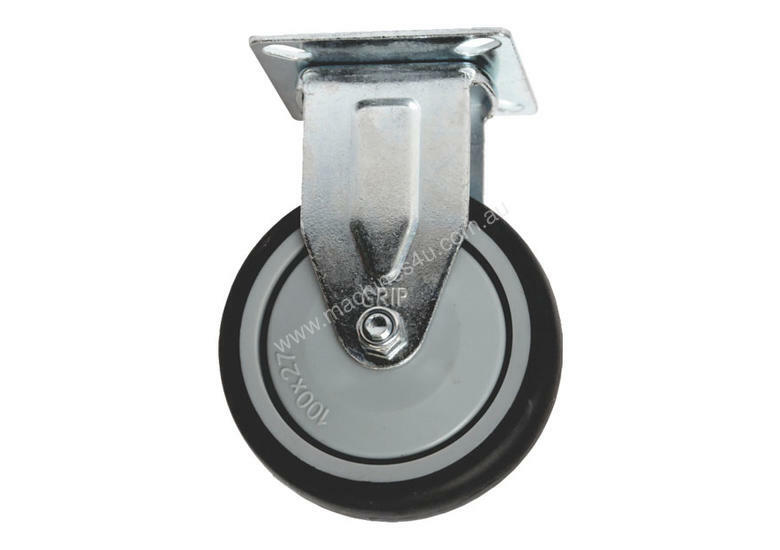 Nickel plated pressed steel componentry with grey polypropylene core centred thermoplastic rubber wheels (non marking) with quality ball bearings and 2 piece dust cover.